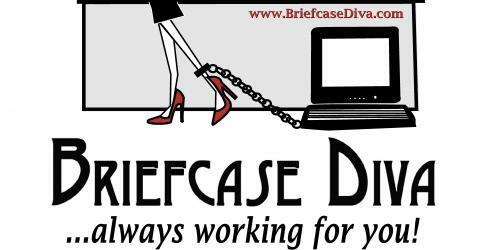 Status Updates | BriefcaseDiva...Always Working for You! Oh my goodness! It is SNOWING! Our first snow on the farm. My son is so excited and hurling snowballs at me. My puppy’s first snow and he doesn’t know what to do. He’s running around like crazy and eating the snow. We are having such a wonderful time playing in the snow! Hmmm, my son is wondering if he will have a "snow day" tomorrow. Mobile post sent by KelliClaypool using Utterli. Replies. YAY!! It’s snowing!!! Our first snow on the farm!! It’s beautiful and exciting! No Diva Talk Radio Show Today! Due to laryngitis, today’s Diva Talk Radio show has been postponed to next week. Hope to see you then! Bookmark my radio talk show tomorrow at 2 p.m. EST. on Diva Talk Radio. Hope to see you there! More powerful than 680 kids. Able to leap 30 second graders in a single bound. Look! Over in the gym! It’s a volunteer. It’s a mom. It’s Super-Diva! Wow! Today was an incredibly awesome day! I had the pleasure of volunteering at ‘The Boy’s’ school for their annual Fall Festival. Upon arriving at the school, I was asked to (wo)man the inflatable bouncy thingy. I thought to myself “how hard can this be?” You have the kids remove their shoes, load them in the jumping thingy, allow them to jump for “x” amount of time and get out. Then, you start all over again with the next group. Right? Well, between being sneezed on (“snot” flying everywhere), eventually having 680 screamingly over-excited kids come through my line, and stepping over the little guys who insisted on sitting at my feet…it was a pretty good day. The little ones were so cute and so excited to jump and jump and jump. Then the “big kids on campus” came through and they were so excited to jump, knock down, tackle, flip over, and dog-pile all of their friends in the middle of the jumping thingy. Okay, the last group…not so cute (except ‘The Boy’ (my son) of course!) Oh and not to forget to mention…they were the “smelliest” out of the entire school. Thank God they teach personal hygiene in 6th grade! Gross, stinky boys! Actually, I really enjoyed the day volunteering at the boy’s school and look forward to the next event. Keep in mind y’all, I did all of this while wearing a lovely pair of black and stylish stilettos! So, how was your day? Be sure to comment on your day! Until next time, wear your heels well! Running into town for an ink cartridge…a 60 minute round-trip to Walmart. Ahh, gotta love country living!